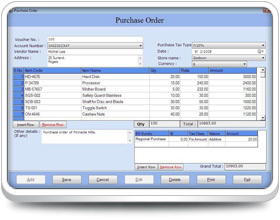 Financial Accounting software provides highly automated and comprehensive solution that quickly manages inventory details in computerized manner. Award winning inventory management tool easily maintains all company expenses and income details without any complexity. Highly scalable financial accounting tool manages customer-vender information of multiple companies at one place. Bookkeeping program generates valuable reports such as Final report (balance sheet, trial balance, Profit-Loss report), Accounts report (account statement, cash book, day book, bank book, journal book, debit-credit notes), Stock report, Production report, Sales report and Purchase report. Professional financial accounting utility provides security features for Administrator, Power user and General User. Cost-effective financial accounting software maintains stock details of company in accurate manner. Inventory management utility easily prints generated reports using advanced print option. Reliable financial accounting management tool saves valuable times to track financial records. Software provides facility for users to take backup of bookkeeping records for further reference. Why to prefer Financial accounting software? Manages tax related information of multiple companies in fastest and easiest way. Saves generated reports in PDF or Excel file formats. No prior accounting skill is required to operate the software. Facility attractive Graphical user interface with inbuilt help manual. 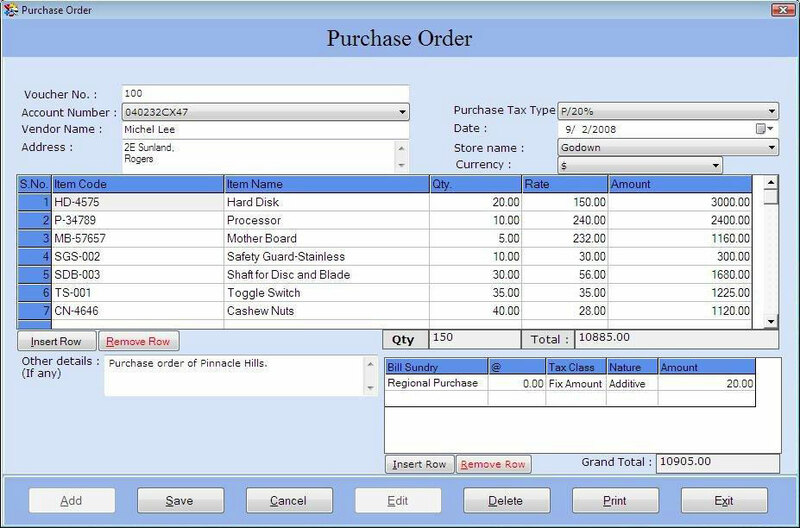 Users can view multiple forms at same time using multiple form visibility option.